Made of non-woven fabric material. Ideally for holding your small pieces socks, scarf, gloves, tools, etc. These stylish storage box are suitable for storing books, arts and crafts, office supplies, towels, clothes, toys. Available Color: Yellow, Red, Green, Sky Blue, White, Fuchsia. It is suitable in office, living room, bedroom, cubby, bathroom and so on. 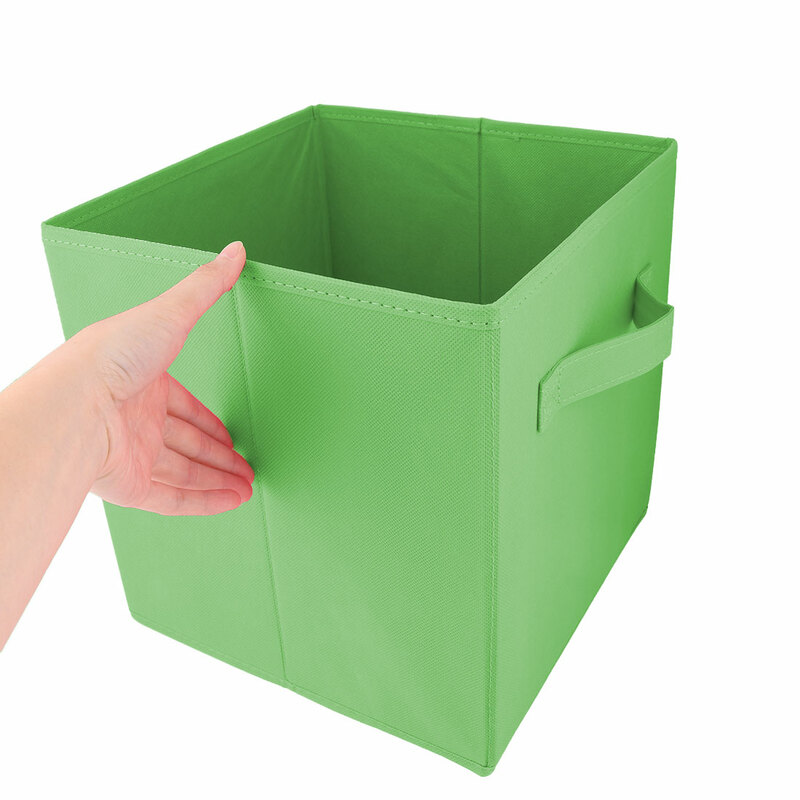 These high quality non-woven fabric storage boxes sturdy and durable for daily use. It can be folded, so you do not have to worry about where to put when you are not use it.